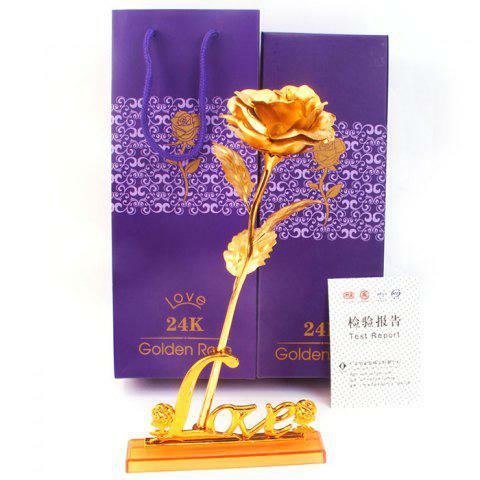 ● Material: the surface of the product is made of gold foil, the surface of the petal is made of gold foil [not gold], and the flower pole is gold-plated plastic. ● The products belong to handicrafts, the flowers are very light, not easy to fold, do not fade! ● Gold Foil: it is a nano-high-tech, ion-coated method that makes it coated on a plastic film (PUC) to form a thin layer of gold foil. It is not gold. ● Suitable places: wedding, party, Christmas, Valentine's Day, New Year, Mother's Day, birthday gifts, etc.